If you haven’t tried the new app, you will. If you haven’t heard of the new app, you must be hiding under a rock. 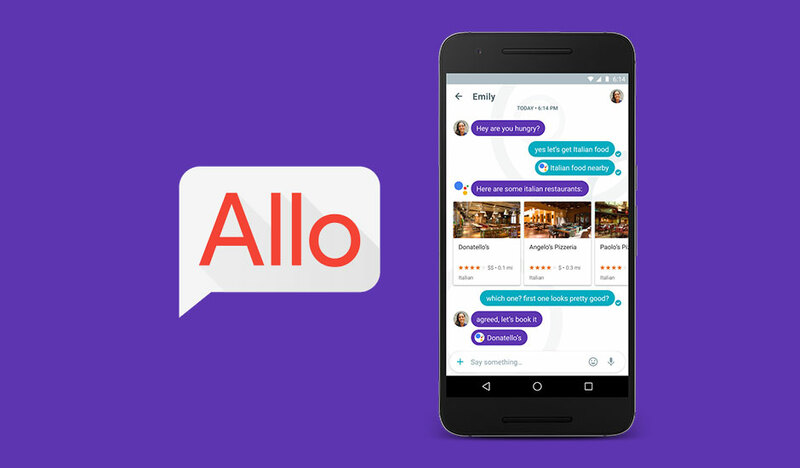 Google’s new AI messaging app named Google Allo is getting everyone talking. And it’s not all positive. I downloaded the app right away. The first thing it brings you to when you start the app is a preview version of Google Assistant. I asked it some questions to see how “smart” it was. You can tell it is in the early stages. 1. Incognito texting. The messages delete after a predetermined amount of time. Makes me feel I am a secret agent or something. 2. After typing your text, you can hold down the arms button and adjust the size of your text. This is great and easy way to show emotion from a text. When I am yelling I can use large font, or little font to simulate a whisper. 3. The auto responses are great. And with the AI technology, it keeps learning and makes the auto responses more accurate the more you use it. 4. Bringing Google Assistant into the conversation to get suggestions, addresses, facts within your conversation. I always hated leaving my texting screen to go look something else up on Google and try to paste in the text. There are probably way more features that I have not tried, and worth AI technology it is learning more everyday. Can’t wait to see what more I will find out with this app, or, when the full version of Google Assistant gets released.